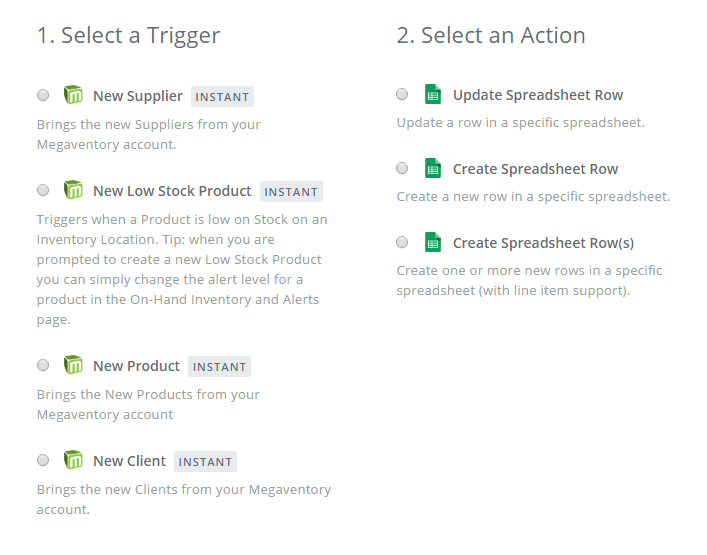 Certain visitors to our Megaventory site have been asking us if we support specific additional features other than those included in the long list of our Megaventory Features section. Even seasoned Megaventory users who have been using the application for some time now may also be curious about what else they can do with it to power up their business even more. In any case, there’s a lot of value hidden in our application’s integrations. Zapier, in particular, is a pretty cool service that connects the apps you already use every day, saving you time to transfer information from one application to the other - so you can focus on your most important work. Today we picked three special zaps which we think can make a difference in your day-to-day business operations. People like to feel that you care about them and that’s what thank-you notes are for. While an e-mail might get lost in the junk or seem “too easy” a handwritten card will surely get noticed. It shows that you care enough to put your personal effort. With Thankster, you can easily create and mail postcards that look genuinely handwritten by you. A very easy to setup zap is to automatically create a contact on your Thankster Addressbook each time a new Client or a new Supplier is added on Megaventory. Or, an even more impressive task is to automatically send new Clients and Suppliers a handwritten card. What an awesome idea to make your customers or your suppliers feel appreciated, right when the professional relationship is starting! A CRM (Customer Relationship Management) software collects and manages all of your customer data in one place and that allows your team to collaborate better. It usually also includes the capability to reach out to your customers directly (via email, phone, SMS etc) and adds a whole new layer of business intelligence. There are a ton of CRM solutions out there but a strong and upcoming solution is Pipedrive. It is built for salespeople who need to put in serious effort to turn leads into sales - and it’s the CRM app we personally use and love. 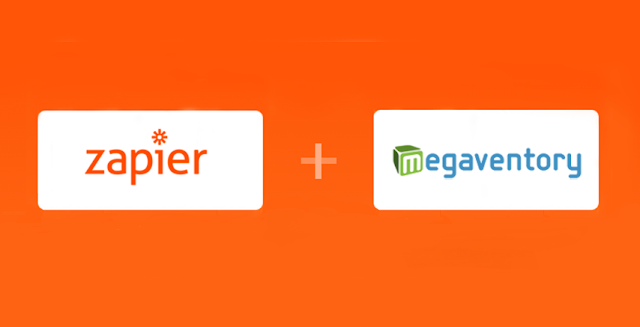 With Zapier you are able to easily connect your Megaventory account with your Pipedrive CRM. So, when a new Client or a new Supplier is created in your Megaventory account, a Person or Organization can automatically be created in Pipedrive - complete with all the relevant details such as email, address, phone, etc. That way, your sales team is always up-to-date and you get to save up precious business time spent doing data entry. Plus, it helps you prevent common gaffes, like forgetting to update your Pipedrive account as well. Not everyone you work with can or should have access to your Megaventory account. However, you may still want to share some piece of information with them, without having to constantly download and send the files yourself. Google Sheets offers collaborative spreadsheets online can be a great solution for the task of sharing information across people. Now, if you combine Megaventory with Google Sheets using Zapier you don’t even have to fill the spreadsheets in yourself, as Zapier can automatically update a specific spreadsheet when a new Product, Supplier or Client is added in your Megaventory account. So everyone has access to the right amount of information in near real-time with minimum effort by you. Whatsmore, if you push such information via Zapier to an online spreadsheet other applications can also read it from there. That way you can extend your workflows even more! With Zapier the possibilities are literally endless – just take a look at the long list of integrations they support. 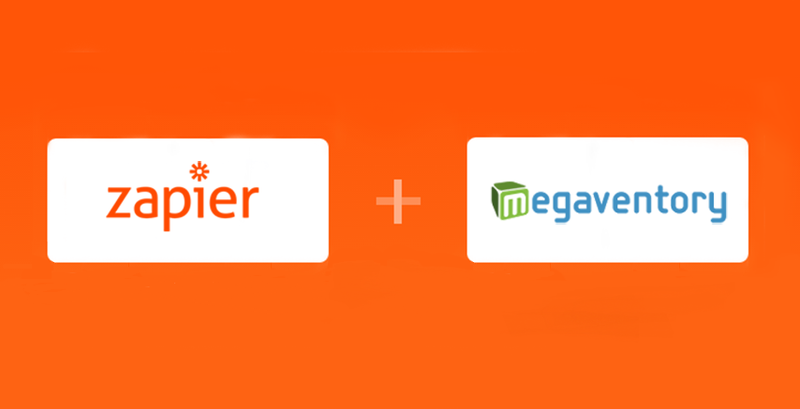 So, have you used Zapier to extend Megaventory's possibilities? We'd love to hear your stories, so make sure to leave a comment with your favorite (or not so favorite) zaps!